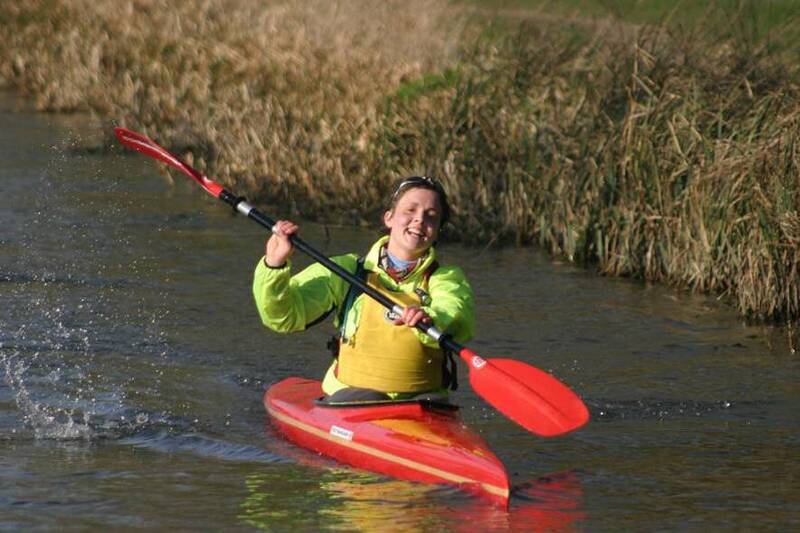 Sunday was Race B of the Waterside series, in preparation for the DW next month. I was a bit faster (its all relative! ), definitely slicker (also relative) and as the picture shows, smiling throughout. Especially at the jelly baby refuelling points – big thanks to Al for his support crew finesse and geeky calculations as to how far ahead of schedule I was. Once again, no speed records broken but I made the 17.5 miles from Newbury to Aldermaston and back in 3:44.01 so was fairly chuffed with my efforts. While I maintain I am not being competitive, (”It’s all part of training – more about survival than racing”) I must say I was very excited to overtake a paddler or two here and there and definitely very frustrated when I managed to flood my boat while climbing out at a particularly high get-out point, and lost 7 minutes getting back on track. No falling in this time, though, so it’s all good.